The NIV uses the word “Backsliding” whereas the AV states that God will save us from our “dwelling places”. Backsliding –the opposite of repentance; they are diametrically opposed to one another! One is turning away from God toward evil and the other is turning away from evil toward God. 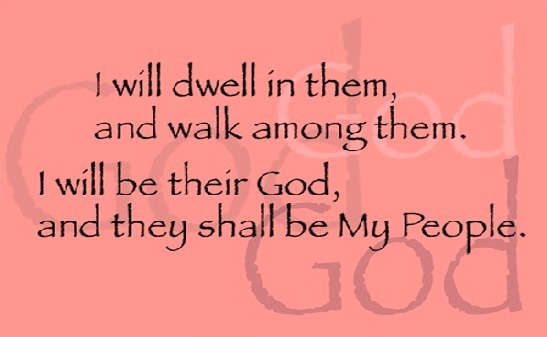 Dwelling place –where I live, my habitation, the seat, my resting place. Does what ever I look to for comfort, identify my resting place? Is my resting place God? Is he my comforter, or am I still looking to sin for comfort? Surely I need to be delivered from the dwelling place that produces backsliding! Don’t the choices we make dictate the life we live?5Ro 6:16 NIV Don’t you know that when you offer yourselves to someone to obey him as slaves, you are slaves to the one whom you obey— whether you are slaves to sin, which leads to death, or to obedience, which leads to righteousness? My Prayer: God, please save me out of my dwelling place where I have sinned. In faith, I apply the blood of Jesus, cleanse me; I want you to be my God and I want to be counted with your people. Please continue to refine me and conform me to your image.6Ge 1:26 AV And God said, Let us make man in our image, after our likeness: and let them have dominion over the fish of the sea, and over the fowl of the air, and over the cattle, and over all the earth, and over every creeping thing that creepeth upon the earth. So God created man in his own image, in the image of God created he him; male and female created he them.Amen. Previous Previous post: Impossible — NOT!